I've got plenty of footage for MOG this month but it's quite a strange mix and I'm not sure how I'm going to come up with anything particularly consistent this time. A lot of the footage is from Fallout: New Vegas. We've had this one before and as I've not completed it yet we will do again. So that's a load more walking around the desert and shooting to irradiated animals. Also after Fallout 3 as well I need to find a way to keep it fresh. It's not the first time I have the same game in multiple videos by any means. There is lots of Mass Effect and Dragon Age in my videos but to me the Fallout footage feels a bit more repetitive. 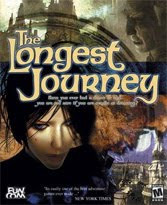 Next there is The Longest Journey. A slow paced point-and-click adventure with some nice visuals but with a lot of voice overs and not a lot of action. I've no idea how I'm going to fit this in yet. Almost even worse than that is Winter Voices. So much of the flavor of this game comes from reading text that I don't think it will show well in a compilation video, not in a way that makes much sense anyway. NWN2: Mysteries of Westgate is a much more standard RPG. I am not really concerned about this game on it's own but more how it will work along side the others. Finally there's Cogs a little puzzle game which I don't have a lot of footage from so wont be heavily featured, if at all. 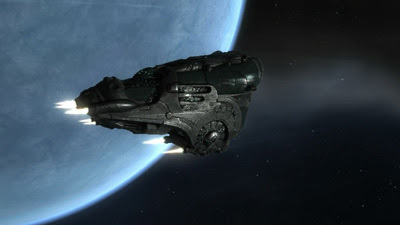 Also as (mostly) usual there is some Eve Online footage. Still not sure how this one is going to come together but first I have to find the right music. Death happens every day, even among the famous and it's always sad. It's not really something that should be dwelt on when it's not someone you know personally. Still there were two notable deaths this weekend which I thought I should write about. It's the first time this has happened since I started this blog. First, as pictured above, is of course the brilliant Leslie Nielsen. I was introduced to his crazy comedy when I was young thanks to my Dad being a fan. I can't remember now if I saw The Naked Gun before Airplane or not, I'm too young to have seen Police Squad on the first run. Still the order doesn't matter now it's all great stuff and still is years later. The second is another person who had a big effect on my youth. Although admittedly I wasn't aware of his involvement until a lot later. 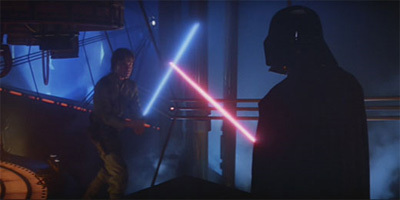 The concept of a film director is probably a bit odd for a child, it's all about Luke and Han. I'm talking of course about Irvin Kershner, the director of The Empire Strikes Back. I have to say though that other than Empire I'm not particularly familiar with Kershner's work. I had to look him up but did find I have seen other things he directed, including Never Say Never Again and RoboCop 2. I think I shall put a film on now. 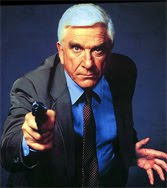 I still don't have a copy of the Naked Gun films on DVD so it will have to be Airplane or Empire. 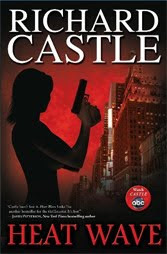 The second book by fictional author Richard Castle, this one is longer and a little more complicated. After her profile (written during the first book) Nikki Heat now has a level of fame in New York and is getting recognized. The murder victim this time is famous too, a gossip columnist named Cassidy Towne with many celebrity enemies. That makes this case a lot more high profile. I don't know if the ghostwriter behind this is the same as the first book. I guess there is no easy way to tell but I'd say it's highly likely. It certainly feels like a direct continuation from Heat Wave. The book characters are starting to diverge more from the TV characters they're based on, but there are still plenty of moments lifted from Castle's experiences in the TV series which keep it linked. Of course if you'd not seen the show you would miss those but that's just a little extra fun. You could easily enjoy these books without having seen the TV series. Admittedly these are only really clever marketing gimmicks for the show. For example the episode shown the day before this came got to mention that the book is out tomorrow, in character. Still it's good quality marketing and good fun too. Here's hoping Castle get renewed for season 4 and we get a book 3 in between. The snow has arrived in Sheffield. 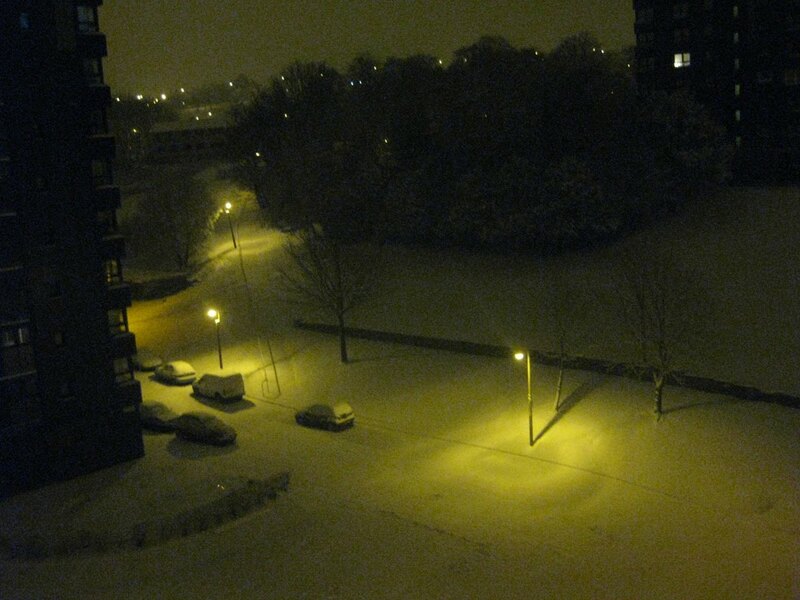 Only a light dusting so far but the country will be at a stand still by next week I guess! Luckily I work from home and don't have to worry about travelling anywhere. It's been a while since I've mentioned Eve on my blog because I've not done much of note recently. Training, mining, missions and the usual day to day stuff. This evening though I bought and outfitted a brand new battleship, a Dominix. It's big and slow but also hard to kill and full of drones to kill things! Another one for the collection. Now I need to decide on a name. While technically it's only a plain old Thursday here in the UK I don't see any reason why I shouldn't be thankful for some things anyway. Of course then I couldn't decide on what. There's a the standard things such as family, health, friends & job, but they're not particularly personal even if it's true. There has been so many tweets today mentioning those things. I could be thankful for the Amazon Black Friday deals or the Steam Give & Get sale but that's a bit materialistic. I could be thankful that I'm not in Korea or that I'm past age of being a student, but that doesn't really directly affect me. I could be just as thankful that I've not been eaten by a bear or that aliens have not invaded the planet today. So what else does that leave me? The one thing that is involved in nearly every aspect of my life would be my computers but does an inanimate object need thanks? My life would be completely different without it but it's not really essential is it? Which I guess brings me back to family & friends, thank you. It's the big weather news in the UK at the moment. None here yet though, but I expect it won't be long. I usually get quite a lot up here on the hill but in the past that's not been until January. Again it's been a fairly long work day today so nothing to mention other than the weather! No server problems today, thankfully, but I'm busy setting up four new ones instead. So nothing else to talk about today I'm afraid, all boring work stuff. I just don't get the thinking and I can't figure out where I stand on them. Although it's a fine line and there is only a minor difference they are at least a level above a remake. There's just so much that can go wrong and they rarely live up to the originals. For every Battlestar Galactica or Hawaii Five-O there's a Bionic Woman or Knight Rider. Films seems to do slightly better than TV with the likes of Batman Begins & Star Trek and even A-Team, but they're not immune and are starting to get out of hand. Two Incredible Hulks so close together, now Fantastic Four and Spiderman are starting again. There are even people out there working on a third version of Battlestar Galactica already! Why can't we have some brand new things? I think the key here is time. When the memory of the previous version is still fresh surely there is no need for a new one? I've picked now to rant about this due to the news today that Warner Brothers are planning to reboot Buffy (as a film) and not only that but are planning to do so without the involvement of Joss Whedon. Now I understand that vampires are the in thing at the moment and that it might be nice to have some proper ones around rather than the sparkly variety but it just seems like it's way too soon to me. There's a quote out there saying "There is an active fan base eagerly awaiting this character's return". Now technically that's true, but only if it's penned by Whedon and played by Sarah Michelle Gellar. Both are still alive, well and working so why not continue the story rather than repeating what's been done? Some executive somewhere has got the entirely wrong stick never mind the wrong end! Just because you can doesn't mean you should. 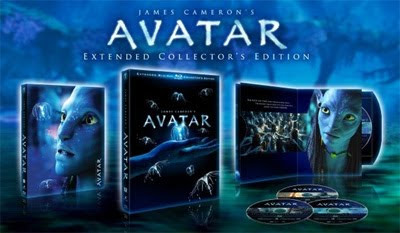 I recently picked up the new extended collectors bluray edition of Avatar. It's nice little package with a shiny slipcase and the discs of content. Two discs of extras and one containing three versions of the film. I watched the new collectors cut last night which is 15 minutes longer than the original theatrical cut. Most of the additions are good and fit it quite well but you can understand why they were left out. They are just additional texture and don't really move the plot forward. That's always the first to go when you're dealing with a film that is already on the long side. I've not watched any of the documentaries yet, I'll probably have a look at those later this evening unless some work pops up. Five days without a cop-out 'nothing' post. I need to work on that. I feel like I've been doing that too much recently. No time left and no topic to fix that for today though. What a very strange game, at least so far anyway. You may or may not remember a while back I said I was going to make a point to looking outside the mainsteam more often for new games to play. The day after I said that this new RPG from French indie developers Beyond The Pillars appeared for sale on Steam. It was going cheap and the description was interesting so I decided I should give it a try. I didn't start right away as New Vegas took precedence but earlier today I had a little time to spare so I decided to get started. The game is to be divided in to 7 episodic installments, presumably the funds generated by each one helping to fund the next. So here I'm talking about "Episode 1: Prologue - Avalanche". This is defintly not your traditional role playing game with swords and dragons. 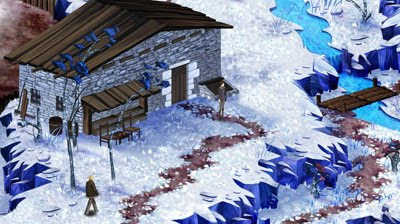 As the developers describe the game it's a drama unfolding in a tiny village buried in snow, the long journey to find answers will lead you through many events to overcome anger, sadness, pain and fear and finally unveil what is whispered by the voices of Winter. The art style is basic, but looks nice and matches the play style and fits the theme. So it works well in context for this type of game. It's heavily text based with a lot to read. Although some of it is narrated it still gives it the feel of a game from ten years ago when developers has to rely on lot more on description. The main thing that sets it apart from other RPGs is the combat styles. It's turn-based which is nothing new, but the overall concept is not something I've ever seen anything like. The combat situations are hallucinations in which you are fighting things like bad memories and feelings. To fight those the skills you use are things like distraction, courage & fairy tales. I don't know if it's all going to be like but it's pretty unique. It's not sucked me in completely yet but I've not given up either, I'm definitely intrigued though. A new release (on DVD at least) is this drum clinic video from Nicko McBrain. Nicko is an outstanding drummer. Any time I've attempted to play anything by Iron Maiden, either for real or in Rock Band, I've failed miserably. Of course at my level I shouldn't really expect to be able to, LOL. Nicko though as I'm sure most fans will know has a bit of a crazy personality. That means that he's not really suited to present anything that's slightly serious. So while the video is fun to watch it's not really all that informative. Still great to see some shots of him in action without interruption from the guitar and bass type people! Also the bad nineties fashion in the audience is a laugh. It's only available direct from the Iron Maiden shop and while looking for a copy of the cover for this post I've just noticed that it's limited to 3000 copies. I'm glad I didn't wait to buy it now. It's all very meta. Let me attempt to explain. Castle is a TV series about a mystery writer named Richard Castle (played by Nathan Fillion). As research and inspiration for his new books he rides along with New York detective Kate Beckett (Stana Katic) and lends a hand, mostly. Those books as written by Richard Castle (complete with picture of Nathan Fillion) are available to us in the real world, the first of which is Heat Wave. In the book Jameson Rook is a magazine writer following detective Nikki Heat for an article on the NYPD. This is not the first TV series with such meta-content. I know Lost did it with Bad Twin and I guess there will have been others I don't know about. It is the first I've read though, again thanks to Kindle. I probably wouldn't have got around to it otherwise, it's just so easy to order things for it. I presume it's ghost written by someone but I don't know who. The story is a basic murder mystery (much less galaxy spanning than the last book I read). A dead body shows up and that's followed by suspects, interviews, investigations, fake art deals and police raids. It's a bit bizarre as at times it reads exactly like an episode of the TV series but then other times it's way off because it's only based on those characters (who are already fictional!). The big difference of course is that Rook and Heat get to hook up. Whereas Castle and Beckett can't because the TV series hangs on their chemistry and their will they/won't they relationship. Still well worth the read if you enjoy the series. I wasn't sure if there were enough metal fans left in Sheffield to fill the Corporation for a band like Annihilator but to my surprise it was pretty packed. Not the most I've ever seen in there but it didn't feel empty which was good. There was a wide variety of people too, both young and old. I'd not heard of the support bands before but both were pretty good. I preferred Sworn Amongst (but I have to say that as they're from Yorkshire). They both got a reasonable reaction from the audience which is always hard for a support band. 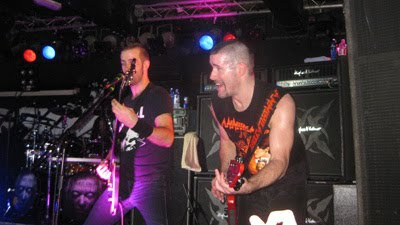 Annihilator were awesome in every way. I still can't hear properly on my right side! Normally I find it hard to remember the exact set list when I get home from a gig but this time I have a crib sheet, which I'll mention later, so lets go track by track. An odd one to start with I thought. It's from the latest album and hasn't had as many years to sink in, so much that I didn't recognise it at first. Then the chorus came along and I realized "Oh, I do know this!". Probably my favorite from the Metal album. 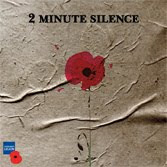 Great vocal work from Dave Padden and excellent solo work from Jeff Waters. Although that kind of goes without saying. Also some nice "Woah Oh Oh Oh"'s for the audience at the end. Brutal from start to finish. I should take a moment to mention Carlos on drums as this song features them heavily. He was hidden away at the back but his presence was definitely felt. First of the classics and first chance of the evening for Jeff to take lead vocals. Most of the audience seemed to know when to shout "Kill"! Fast and powerful. Another one of the new ones but this time one I'm more familiar with thanks to it's early release on You Tube. Some great guitar harmony here as the more recent work is obviously planned with Jeff and Dave playing together in mind unlike the earlier stuff. Back to the King of the Kill album again for this one. Based on their live albums they like to play this often. It's got a little bass intro so I'll should take this opportunity to mention Alberto who is playing bass for the band at the moment. He's doing a good job and seems to be enjoying himself. 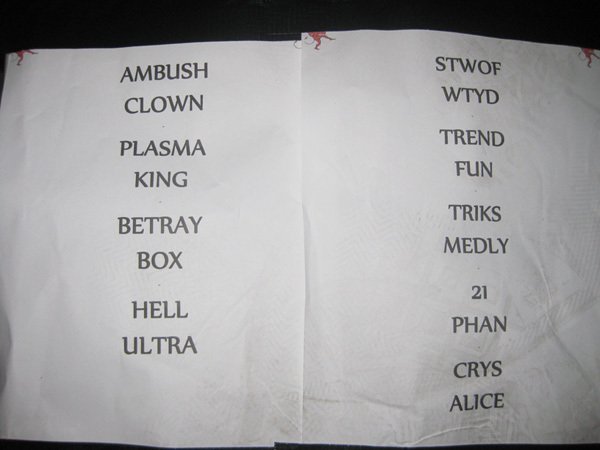 It's been pretty relentless up to this point with barely any breaks in between the songs. No stopping to chat all the time like some bands do, they just keep going. Now we get a brief chance to rest thanks to the slow and beautiful intro to Hell is a War. Of course that doesn't last all that long until we're back to the speed. Then they take the speed to a whole other level with Ultra Motion. It's hard and fast from beginning to end with some fantastic solos. Dave does a great job with the really fast lyrics originally written for Joe Comeau. The crowd love it. A track I know really well, over the years this has been one of my most listened albums. Sounded great live. Everyone seemed to know this one, a classic from the first album. Was it on the Total Annihilator compilation? A couple of people I spoke to said they'd lost touch with Annihilator until that free compilation was released. I guess it did the job. I fell in love with the opening to The Trend when those You Tube vids from the workshops surfaced but to hear it live with the full band was outstanding. I expect this will become a long term favorite and a regular on future set lists. More excellent guitar work here and Dave does a great job of hitting the high parts in the vocals too. Although you can tell from his face that it's at the extreme end of his range! The chairs come out and we chill for a little while. Jeff comments that it's the dirtiest chair he's sat on. Sounds about right for Corp, LOL. I've always enjoyed Phoenix Rising and Sounds Good To Me but I never expected to hear them live and yet that's what I got on my first time. Another slightly odd one which I've not heard as much as for some reason which album it's on varies and my copies don't have it. Must buy the remasters at some point. Still I have heard it, just not as often and it's not hard to figure out when is the right time to shout "21"! Dave calls for the biggest mosh of the night and the crowd in the centre happily oblige and go crazy during the intro to this one. A short instrumental which is the perfect opportunity for Jeff to show off more of his guitar skills. The classic end to a brilliant night. My favorite band and they're playing at Corporation. I can't ask for much more than that really. I've never managed to catch them live before, last time they were in the UK supporting Trivium the gigs sold out before I got tickets. So I'm expecting this evening to be pretty epic. I wonder how many tickets have been sold though. Will they play in the big or the small room? The metal scene in Sheffield is getting smaller and smaller these days. Still either way it should be good. It contains no content as nothing special happened today. From my point of view this new series appeared out of nowhere. I had no idea it existed until the week it was first being shown. It's been a comic since 2007 but I'd never heard about that either. There are not many TV series that would be considered to be the horror genre and certainly none that I can think of involving zombies. 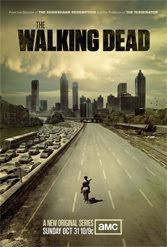 The pilot episode was great. They'd obviously gone all out on the effects side of things. The story was interesting too. I've seem comparisons to 28 Days Later because of the waking alone in a hospital part but really the similarity ends there. We've got traditional slow zombies here for a start. Episode 2 was good too although on a much smaller scale, obviously not having anywhere near the same budget as the pilot. That was a lot more about meeting the characters. I'm definitely looking forward to the rest. It's a bit of a shame that it's basically only a mini-series for now (of 6 episodes). The good news is that rather than being cancelled without a chance like so many other recent programmes this has already been renewed for a second half season (13 episodes). Yay I guess, not that it makes a lot of difference to me and I've got nothing special planned. Annihilator on Monday though so that will be the highlight of next week! Not much else to say. Support The Royal British Legion and buy the 2 Minute Silence single. They deserve to be number one this weekend way more than Take That! Visit the website or buy from iTunes. The video is well done, I watched it at 11:02 this morning myself. I can't help but wonder though if it will get any radio play. I don't often write about my diabetes and that's mainly because there is not a lot to say about it really. There are highs and lows, there is testing and injections, but it's all routine and has been for about six years now. The last time I posted something diabetes related it was about my interest in Continuous Glucose Monitoring (CGM). It took me longer than planned to talk to my GP about it and then even longer for me to write this follow up post about it. The one problem with the standard finger-prick blood test is that it only tells you your blood sugar level at that instant. They don't give you any information about whether it is going up or down, unless of course you checked every few minutes but that would start to hurt! So what are the alternatives? I've seen a few different ideas while browsing the web but CGM seem to be the only one that's actually available right now rather than an idea being researched. However even CGM is still bit too new and not quite ready as a long term solution. The main reason for that is the cost. I was looking at the Guardian Real-Time System. It's not available on the NHS except for short term loans from the diabetes clinic. For a patient to buy one for themselves it would cost £2600. That's quite a lot but I suppose it's not too bad as a long term investment especially if it improves health. However that's just the base unit that reads the data wirelessly from the sensors. Unfortunately the sensors you attach to your body only last for six days and they cost nearly £40 each, so that's another £2300 per year to use the system. Obviously it's a bit too soon for the technology to be widely used but it's definitely a field I will be keeping my eye on. At least until they figure out the artificial pancreas, which looks like it could well be within my lifetime. And lots of it. Poorly managed server moves. Unresponsive hosting support. Various computer crashes. No energy left for an extensive post today. Well that was brilliant. The conclusion to the Void trilogy did not disappoint. Now I have to admit that I'm never the first to pick up hidden meanings, metaphors, allegory or anything like that. However on the surface it was a very enjoyable story which kept me coming back for more. There is something about Hamilton's writing style that keeps you wanting to continue. With the multiple storylines they are usually given a chapter to themselves rather the jumping around a lot. When you get to the end of a section and see that the next is about someone else I get the thought "but I want to know where the previous one was going!". Still you move on and see what is happening to the next character and end up getting engrossed again and so by the end of that section you have exactly the same thought. This book spends a lot less time with the Void dreams than the previous two and concentrates more on what has been slowly building on the Commonwealth side. This made it feel a lot more like Judas Unchained than the other Void books, especially with the return of Ozzie for a while. There are still some dreams of Edeard but they're no longer sequential thanks to his new ability to manipulate time and of course skipping the more mundane parts of life once he starts to settle down. As always the end result was nothing like I expected it to be but it was satisfactory and made sense. As much sense as a book about spaceships, dimensions, aliens & telepathy can anyway! I wonder what he will write about next. There is not a lot by Hamilton that I have not read now. There's just some of the older stuff to go including the stand alone Fallen Dragon and the Greg Mandel series. I'm suspect I'm going to run out before his next book is out. I've been trying to decide which of his books is my favorite but it's too hard too choose. I've enjoyed them all in different ways. I can't even decide between the different series. 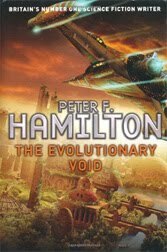 The Reality Dysfunction, the first of the Night's Dawn trilogy will always have a special place for me as that was the first book by Peter F. Hamilton that I read. It's probably The Naked God, the conclusion to Night's Dawn, that's actually my favorite. Still that feels like I'm being unfair to the Commonwealth Saga and the Void Trilogy, they're all so close. Time to read something a little less long and complex next I think. It's been an odd and uneventful weekend where nothing particularly exciting has happened. Which leaves me with nothing exciting to write about either. I had all sorts of work related plans but none of them quite worked out. Hopefully next week will be an improvement. I'm just going to sign off everything and read for a while, then get a fresh start in the morning. It's probably unavoidable considering the amount of computers I deal with every day but it feels like recently I've been dealing with a lot more glitches. There are five machines here locally and another fifteen or so online. I guess some of them must just be getting old. There is nothing major wrong with any of them, nothing serious enough to consider replacement. Just a lot more odd occurrences leaving me wondering 'Why did that happen?'. Now there is always that nagging feeling in the back of my head wondering if all my servers are OK. Then when you find there is something wrong or one needs a reboot for example it's a distraction from the real work you're actually trying to do. I think I need to figure out how to move my business up a level so I could afford a minion of some description. Though I don't know if I'd be any good as a boss. I don't listen to me so why would anyone else! Yay for fireworks, not that I actually saw many. I didn't go out to see any on purpose or anything, but there is a good view across the city from here. It's just a shame there's a big metal lift thing on the side of the building which is in the way at the moment. Still there is a load of stuff I should be doing anyway. What a rather strange game. An adventure game from Funcom which is a few years old now. It's one of those games that I never played when it first came out but I'd always heard good things about. Press quotes include things like "one of the best adventure games in years". A story of dream worlds and alternate realities it's all very odd. I've only played for a couple of hours at this point and I don't think the story has really kicked in yet but I'm already interested in where it's going. Visually it's a weird mix of styles. The locations all have nicely rendered backgrounds. They look a little dated but are of a decent quality. Overlaid on top of those are extremely low resolution character models. The difference between the two styles is huge and took some getting used to. It probably looked amazing back in 1999 now though I'm afraid it's showing it's age. Still the story is good and the voice acting is great so it still has plenty going for it. So far none of the puzzles have been to challenging but I get the feeling there's still a long way to go. Change is something I've always been particularly resistant to no matter what I try and it effects all aspects of my life. This evening I did something I've been thinking about for ages but generally avoiding. I'm going to leave it all cryptic like on here now but I'll probably post a picture on Facebook and Twitter tomorrow. Including Eve Online in my gaming compilation videos really does double the number of views I get from general searches. It's weird. If you had asked before it's something I would never have predicted. Eve is a really niche game and I just can't think of a reason why it would get more searches than the more popular games like Fallout or Mass Effect. Of course as I wrote that I realised it must be the opposite. There must be fewer Eve related videos so when someone does search for it my video has a higher chance of appearing. Mystery solved, probably.